The Short Boxed Beard Style: How to Shave, Guide, Examples, & More! The short boxed beard is the facial hair style equivalent of the consummate role player on a sports team. You know the type: can lead the way if need be, is up to every challenge, and is essential to the team’s overall success. Let the others get the spotlight; this one just shows up night after night and gets the job done. That’s not to say the SBB is relegated to the background, however. It’s a great beard style for those who don’t want to push their full beard to the outer, “mountain man,” edges. But you still get to keep your full beard, and it highlights the cheekbones while emphasizing the jawline. The short boxed beard also is an acceptable beard for the workplace. You can let it grow a bit beyond what may be considered “standard” length, but it has defined borders (your whiskers are limited to the cheeks, upper lip, and the chin, with your hair extending just below the chin). The SBB is considered one of the most professional of facial hair styles and one of the guys at the top of your company’s ladder probably is wearing one. You like the ruggedness of a full beard, and how you look wearing one, but you like to keep things neat and clean. Others like it on you, as well, and you’re not immune to that fact. 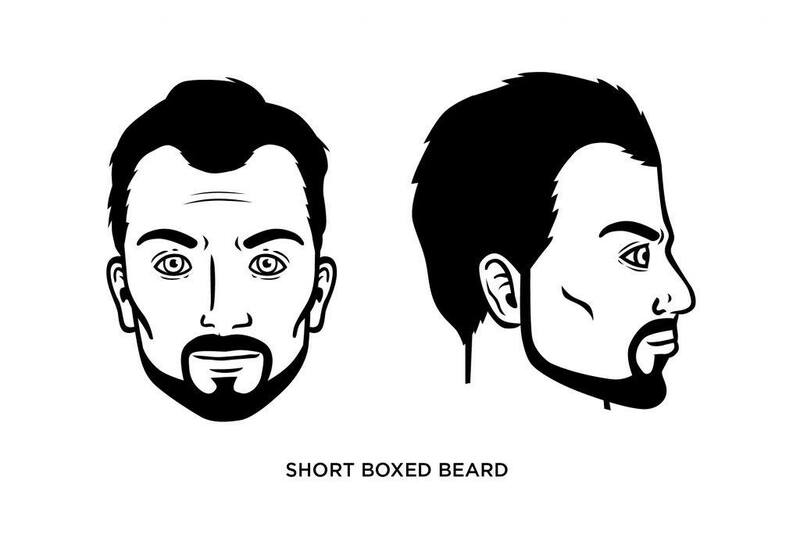 What Face Shape Best Fits the Short Boxed Beard? If you have an angular or heart-shaped face, the short boxed beard can provide balance to the lower half of your face. Or, if you have a round or oval face, it adds neat lines and hard angles. But be wary of wearing one if you have a square face – it may make your face look bottom-heavy. First, shave away the stray whiskers from less dense areas of your cheeks to highlight your cheekbones and other bone structure. Use a trimmer to create a sloping border from your sideburn to the mustache (using the natural borders of your beard growth as a guide). Repeat this on the other side of your face while trying to maintain a balance between both sides of your face. Allow your beard to grow about one to two inches beneath your jawbone before creating the lower border. Trimming your hair a bit shorter along this border will create a more natural-looking line. Use your trimmer two to three times a week to maintain its length and borders. 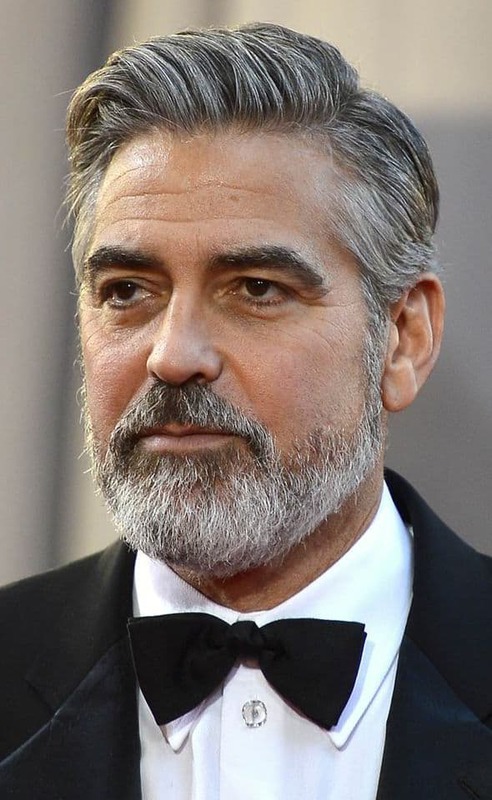 What Famous People Wear the Short Boxed Beard? 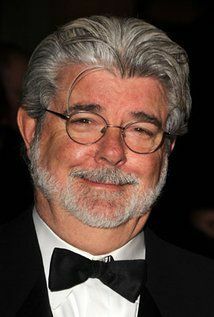 George Clooney has favored a short boxed beard, as has another famous ‘George’ – Star Wars creator George Lucas.